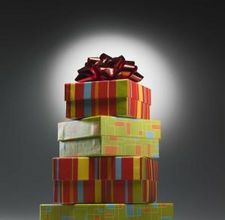 Every boy is different, but there are some common gift ideas that most boys between 7 and 9 would like to receive. The good thing about kids between 7 and 9, they usually are more than willing to let us know what they would like for their Birthday or Christmas. 1. This year video games, computer games and game consoles are on the top of most boys 7 to 9 Christmas or birthday gift lists. The Wii and Xbox Kinect are both popular this year. Hand held game systems are also popular such as Nintendo 3DS. The real problem I have is not finding the games boys 7 to 9 want as Christmas or birthday gifts, but finding ones that are ok to give to them. They seem to want games that are rated for 10+, 13+ and even 18+. Top video games are going to depend on the system or console they have. On computers the new Star Wars The Old Republic MMORPG is being released Dec. 20, 2012. Star Wars has been popular for generations. 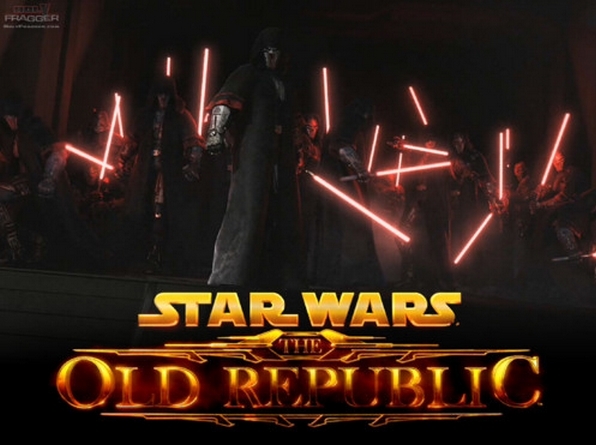 So both parents and children are interested in Star Wars - The Old Republic MMORPG. Even though this game is not considered a children’s game many parents are buying it for their children and getting them monthly subscriptions. There are many guilds that include family groups. Kids and parents are both playing. I have been lucky enough to see the game being played by my husband and son as part of the beta testing. 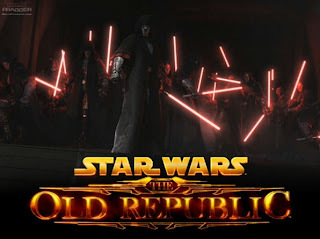 From what I have seen the game is amazing, and does the Star Wars legacy proud. However, if children are playing it they may need a parents help unless they are already experienced MMORPG players. You may be able to control what your children do, but you cannot control the other players your kids may come across. Fortunately the game is set up so that kids and adults alike can play in a player verses environment instead of player versus player environment. The Wii always has several popular games available. 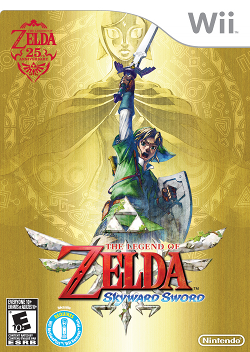 I do think that The Legend of Zelda Skyward Sword is going to be a big hit this year. The limited edition bundle with the special Wii remote will probably be extremely popular. Any and all of the Lego Wii games are popular. The Harry Potter 5 -7 will be popular, but I think more because it is a Lego Wii game then because it is a Harry Potter game. Happy Feet Two: The Videogame looks like a lot of fun and so does Puss in Boots. Jaws Ultimate Predator is for teens. Many boys may have this on their Christmas or birthday gift list because they love anything to do with sharks. This has a Teen rating for a reason and should be checked out by the parent before ever letting their son play it. Though I can clearly see why it would be popular with 7 to 9 year old boys. 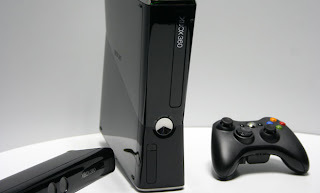 Xbox Kinect has many games that are of interest. However, Halo is still the game boys seem to want. I think it is too old for them, but for some reason it is very popular with 7 to 9 year olds who have been shown the game. I know my son has been asking for two years to get an Xbox so he can play Halo. There are quite a few other games on the Xbox that 7 to 9 year olds, and older, boys have on their birthday and Christmas gift lists. 2. 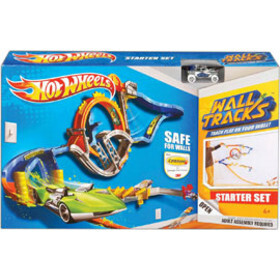 Hot Wheels wall tracks have got to be one of the more popular toys for boys 7 to 9 this year. They are great, with a starter set and two extra expansion kits. The best part is that they can be moved around, be put up, taken down and put up again. It even looks like it can be easily set up and taken down. I think they are perfect for people with limited room. I know my son loves Hot Wheels. This would be perfect for him. It looks like a lot of fun, and the best part is there is no real clean up when he is done. The cars get put away, and the track stays where it is, up off the floor for the most part. It is not all over the place and because it is on the wall it is less likely that parts are going to go missing. 3. Lightsabers are still big with 7 to 9 year olds. There are new lightsabers out ever year, usually just in time for Christmas. With the popularity of Star Wars it is not surprising that Lightsabers are on many Christmas and birthday gift lists. 4. Lego. The joy of Lego is that there are so many different kits that you can find one for just about any kid. You can find theme items like Star Wars, Ninjas, Cars, Transformers and just about anything else in Lego. There are castles, dragons and even pirate ships. It is difficult not to find a great Christmas or birthday gift in Lego. Also when kids have a lot of kits they can always use the basic box of Lego to build even more stuff. This year the hottest Lego Christmas gift are the Lego advent calendars, the Lego City Advent Calendar and the Lego Star Wars Advent Calendar both have a lot to offer. However, they are going quick. 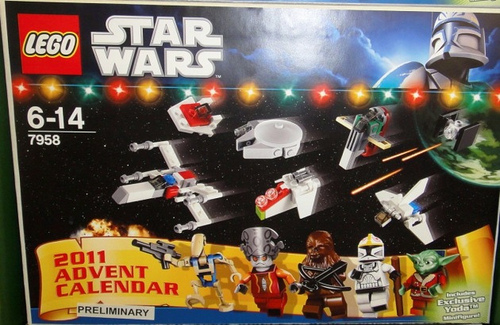 If you want a Lego Advent Calendar you need to buy it early. 5. Yu Gi Oh and other collector or game cards are still popular. There are always new collector game cards coming out. Always check with kids which cards they are into now. It seems to change in the blink of an eye. Also some boys will not be interested in cards anymore, even though they were asking for them just a few weeks ago. My son and his friends still play Yu Gi Oh and have not moved on to the “newest” cards. 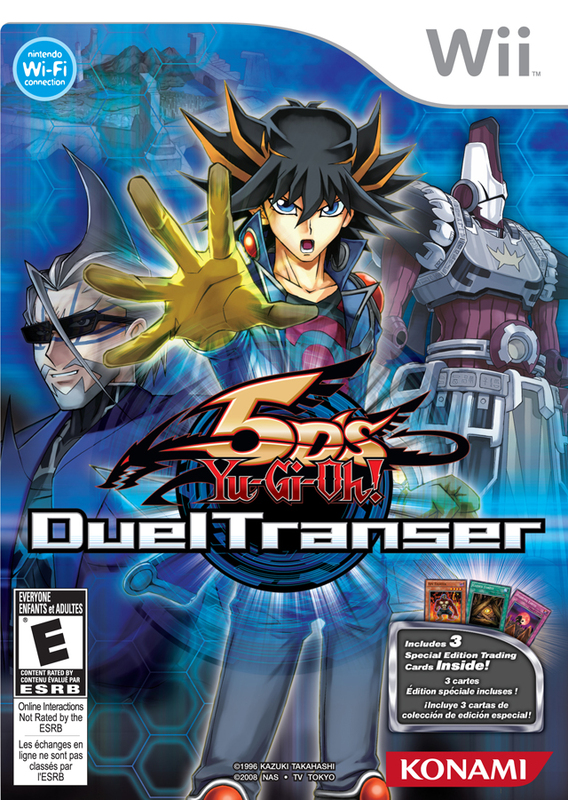 There is a Wii Yu Gi Oh game out, Yu Gi Oh 5D’s Duel Transer. This came out last year and can be found on sale. 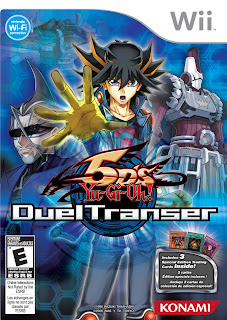 It can still make a great Christmas or Birthday gift for boys who love Yu Gi Oh and have a Wii. 6. Bayblade Metal Masters is creating new interest in Bayblades. 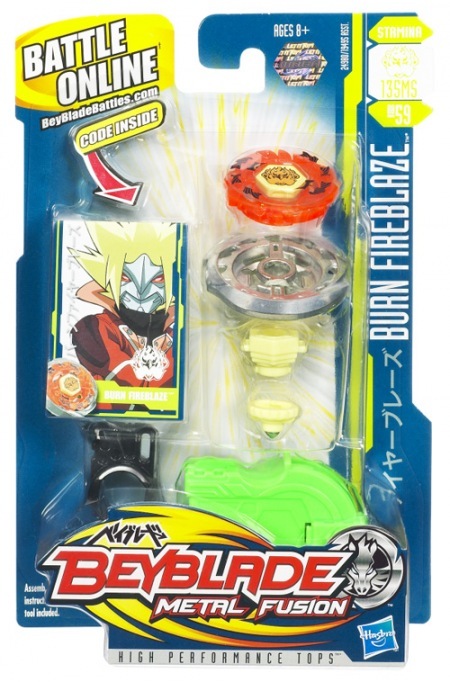 Bayblades Metal Fusion is becoming more popular again, now that they have the TV show and real live Beyblade battle competitions. 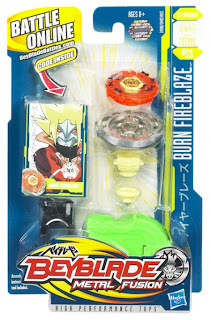 There is a huge variety of Bayblade Metal Fusion toys available. 7. Bakugan is still popular. It combines a toy and cards in the game. 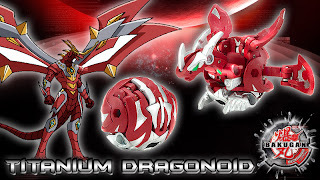 There are always new cards and actual Bakugan. However, I have noticed a decrease in popularity. I am not sure how much longer this toy/game is going to last. I do think that Bayblades are becoming more popular. 8. Though many boys 7 to 9 may not admit it, Build a Bear is still fun. I am sure I will come up with more great Birthday and Christmas gifts for boys 7 to 9. Right now Star Wars is the biggest thing in my home. For others families it will be Transformers or other themes. I do find it interesting how many children are being given the new cell phones. They are really mini handheld computers. People like them because they can load music and movies onto them, or go online and play games. I can see that it is like having a phone, hand held game system, computer, camera, GPS tracker and more all in one. I know my son is not ready for one, but some 7 to 9 year olds are.